Canberra-based former TransACT CEO and chairman Ivan Slavich is set to join Energy Action (ASX:EAX), a national energy management technology and services company based in Sydney, as its CEO next month. Most recently head of management consultancy TRIDENT Corporate Services, the high profile local businessman is a former AGL Energy senior manager and ex-ActewAGL Head of Retail. He has also been involved in promoting the Central Coast Mariners football team in the ACT as the club’s Business Development Ambassador in the region. Energy Action’s chairman, Murray Bleach, said the board of Energy Action was delighted that Mr Slavich had agreed to join the company as chief executive. “Ivan’s strong leadership and strategic capability, combined with his extensive energy industry and sales and marketing expertise make him the ideal person to lead the company through its next stage of growth,” Mr Bleach said. Mr Slavich will continue to live in Canberra, commuting to Energy Action’s headquarters in Parramatta. “I’m looking an abode there for during the week, but my home and heart is still in Canberra,” he said, adding that the role would require regular travel to other state capitals for conferences and events. Mr Slavich said current volatility in the Australian energy market meant it was more important than ever for businesses and government departments to consider their energy management strategies. “Much has been said on the supply side in terms of a new gas peaking plant in SA, battery storage in SA by Tesla, an upgrade of the Snowy Hydro facility, but very little has been said in terms of the demand side equation,” he said. Being a leading listed national energy advisory business, Energy Action was uniquely placed to play a key role in ensuring that customers were making the right decisions to manage their associated energy risks and opportunities. “I will leverage my considerable experience in establishing and growing utilities businesses and advising governments and businesses on management strategies to ensure Energy Action is well placed to continue to grow its footprint in the Australian market and deliver improved returns to its shareholders,” the executive said. Mr Slavich said Energy Action employed 150 staff nationally, including a team at Belconnen that included several “really talented engineers who’ve graduated from ANU”. “They’re really good at employing local people,” he told the RiotACT. The company had been involved in several projects in Canberra including renewable and micro grid projects with developers like the Molonglo Group. Mr Slavich said Energy Action was the leading procurer of energy across Australia, helping business and government customers to get the best price, which was critical at a time when there was a lot of debate on the supply side and prices had been “going nuts” in South Australia and Victoria and increasing across the country. He noted there had not been as much debate on the demand side. “Energy Action is really Australia’s pre-eminent independent advisor on energy matters on the demand side,” Mr Slavich said. 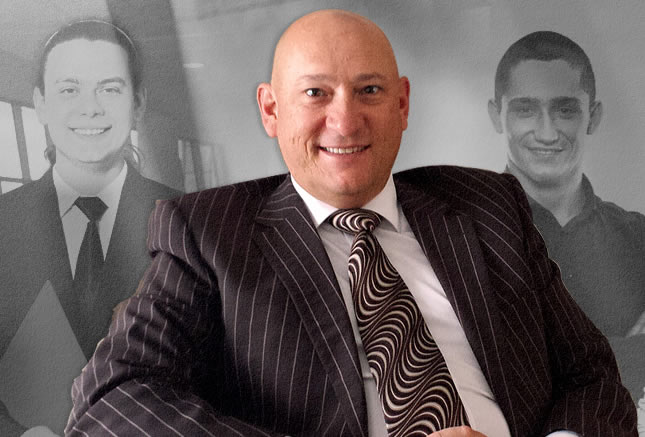 Mr Slavich has 22 years experience in the energy, telecommunications and consulting sectors. As the Head of ActewAGL’s retail division, he had responsibility for all aspects of the utilities business across energy, water and communications. As CEO and chair of TransACT Communications, Mr Slavich was instrumental in the eventual sale of the business to iiNet and remained on iiNet’s executive team post-transaction. As for his role as a football evangelist, Mr Slavich said that while it was unclear whether the Central Coast Mariners would continue to play in Canberra, he remained personally committed to seeing elite football played in the capital and would be involved in future efforts on that front. “That’s still very much part of who I am and what I do,” he said.